XL Salad Bowls help make entertaining effortless, regardless of the occasion! 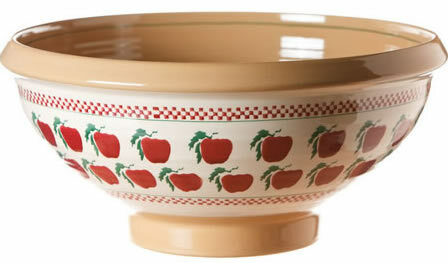 Whether it’s a family luncheon or an exclusive dinner party, these pottery bowls enhance any table setting. After all, Nicholas Mosse handcrafts each one in their Irish Pottery works to ensure the flawless finish is matched only by the durable design. 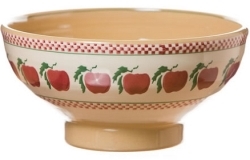 The Apple Pattern is perfect for adding a touch of cheer to your pottery bowl collection!